A large majority of what is being taught in the false prophetic circle is nothing but doctrines made up by devils and the works of fleshly minds. They love to protect one another in their circle of friends, but this circle will be broken by Yahweh Himself. They teach every blowing of the wind doctrine that can be thought of or entertained by the fleshly mind. All for what? To have some new experience in the Gospel message and become powerful “SUPER SAINTS” who don’t even line up with the Word of God and to get their high on some new spiritual experience that has NOTHING to do with the Gospel of Jesus Christ and our purpose as Christians preaching that message. During the year 2014 at a meeting we heard with our own ears one false prophet telling others that he does spiritual time travels. Yes you read that right! Spiritual time travels! 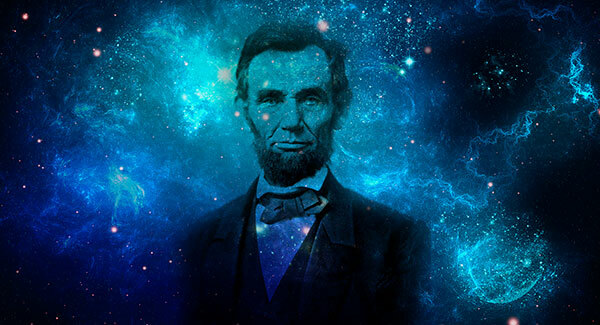 This false prophet claimed he went back in time to meet Abraham Lincoln the former president of the USA just to warn him not to do something wrong in order to correct the future! WHAT?!? He claims God has chosen him to do these supernatural acts to save the future. PEOPLE OF GOD! LISTEN! If this man truly did what he did, then it was through the work of nothing but demonic necromancy by communing with the dead! Oh his stories seemed so amazing and he presented it so buttery smooth to sound cool so that it seemed what he did was of Jesus. IT’S NOT OF JESUS! It gets even more bizarre as this same man claimed he had a visitation with Jesus and that Jesus told him that while He was on the earth He did battle with satan and during that battle Jesus took lucifers signet ring that he was wearing, and he told the people in the audience that now Jesus is wearing that ring. There is no scriptural evidence anywhere of this, just a false lie of the devil. The devil is a liar! This false prophet now uses the image of what he claims to be the devils former signet ring as a symbol on his website. During his meetings he places the image on a projector screen above his head all the while telling people his made up lies filled with demonic deception and stinking rotten garbage. The imagery of the supposed signet ring that he claims now belongs to Jesus has nothing holy about it, for it has resemblance to masonic images and other things of the occult. These are the kind of dangerous and devilish teachings that some of the even seasoned ministers have allowed into their sanctuary. I tell you this person did not have a visitation with Jesus and most certainly did not do time travel by the Holy Spirit, but and if he did travel back in time it was by a demonic spirit using witchcraft. He also claims that he has communication with his spiritual father who recently died and this certain spiritual father of his was a well known prophet in the false circle. If you EVER hear of teachings like this….WARN the pastors of the Church and sound the alarm! If you have friends that are involved with such whacked out teachings… WARN them too so that their soul will not be entangled with these devilish ways. I personally warned the Pastor of this Church where this false prophet was speaking as guest minister, and they simply did not listen, so the blood is not on my hands nor my wife! Perhaps that day this false prophet was speaking we should have stood up and publicly rebuked the foolish demonic teaching before all and called it for what it was…. demonic and not of the Gospel of Jesus, because we were pretty hot and ready to do it, but I chose to go to the Pastor after the meeting and address it there. I’m telling you what I honestly believe is coming….. A ROAR from the True Church who will NOT tolerate this kind of wickedness anymore. I’m not saying that “Prophetic” is a bad thing… it’s not, we use that title in our worship, but when it has no bearing with the WORD of GOD then it is what I call pathetic prophetic and crossed over into foolish carnal things that are made up by fleshly minds and/or influenced by demons. P.S. I was also told recently from a friend of ours in the ministry of a woman minister who proclaims to supernaturally “walk through walls” like Jesus and the gold dust just falls all around them in their meetings. By the way, their gold dust has been busted as false, but yet people still foolishly flock to this stuff like it’s a thing of God! PEOPLE IT IS WITCHCRAFT SPIRIT THAT IS INVOLVED WITH THIS AND THAT’S WHY THE DECEPTION IS SO STRONG! Study His Word and know it! I am so glad to hear there are others waking up and seeing the error in this teaching about talking to the dead. I live in Moravian Falls, NC and have been trying to convince by the Word the error in this teaching but to no avail… The Lord has led me away from fellowship with the prophetic movement. It is a difficult situation living in this area. I was in a service where I smelled fresh bread and BM (bowel movement) mixed I did not understand why since what was being taught was scripture to that point. Then a declaration was made that dead saints visited their meetings… I saw why I was smelling the mix. God help us.